Five glorious orchid stems all arranged to perfection in a special pot. Each stem is supported in order to provide the most realistic appearance. Our silk flowers are of the highest quality and when you send these beautiful blooms to a friend or loved one, you can be sure that they will get years of joy out of your gift. 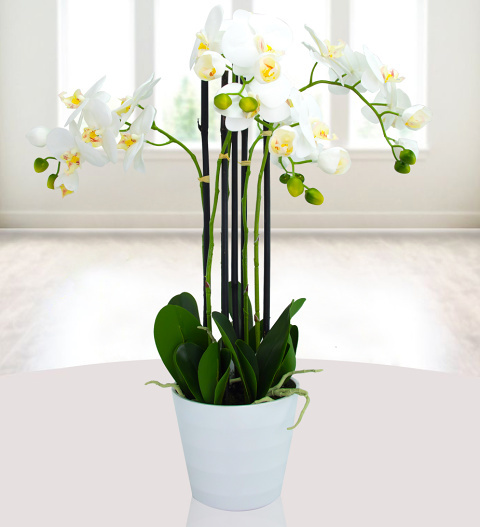 Elegant and gloriously arranged, this orchid arrangement is perfect for any recipient and any occasion.